I’m glad your permit came out. Work permits can be stressful especially sonce there’s no guarantee you will get it. For me the challenge is an employer wants someone with a permit and you can’t get a job without a job offer. Exactly, it feels backwards to me that you need a job offer before you can apply for the permit. So interesting that it is similar to SA! Hi Jodi, no you cannot look for employment whilst visiting on a holiday visa. Ah yes, that is true, will add it in! For the labor market needs test, did you find the correct documentation to submit? How did the company provide that information? That’s my main concern with the whole process. I’m here looking for work and I have a few interviews lined up but I’m worried about how strict the test is. Hi Michelle, I applied for a spousal/dependent work permit so I didn’t need to do a labor market needs test. I think this is something that your future employer would need to do. My best suggestion is to call citizen info, they can offer more insight! Thanks a lot, i was looking for information like this since few months finally i got thanks. I am in the exact same situation that you were in January last year. Still struggling to get an interview call as I need dependent work permit (husband is on stamp 4). It is very frustrating to have a doctoral degree and not even be given a chance to explain your potential. I don’t have enough work experience as I only recently finished PhD which I was pursing full time. But from your experience and that of others I know, it doesn’t seem like having work ex even makes much difference in this context. Glad that everything worked out well for you! That gives me some hope! Ah Cho, it is such a slow process. Do not lose faith. You just need an interview face to face – someone will see the value you can bring to the team. It will happen I am sure, just keep applying! Hey Priya, I have responded to your other comment, it takes about 6-8 weeks to process but you can check online. I can totally relate to you. Husband is on stamp 4, whilst I’m on stamp 3 and it’s been so hard to just even receive a call back as the first question all recruiters and companies seem to ask is whether or not I have stamp 4! This is so frustrating, why don’t they give us, non EU dependents stamp 4 as well. Sigh. It is such a long and frustrating process. All I can say is to keep trying, and hopefully you will find a great role in a great company soon! Hang in there, Jess! Thanks for this blog. It’s really useful for people in a similar situation to get a first hand account of things. I just had 1 question- I’m moving to Dublin in March on a critical skills work permit and my husband will be accompanying me on a dependent visa. His current Indian company has agreed to let him work remotely from Ireland for 5-6 months or even more. Is that legally alright to work remotely for your home country as per Ireland immigration. I din’t find anything in the laws against it but since you did the same for a while, just wanted your inputs. Thanks! Hi meg! Finally, I got this useful and very informative blog. Thanks! Thanks so much Emie! Good luck with the job hunt. I am Arun from India. Can yiu1 please tell me the job offer from irish industry is enough to apply for work permit under general work permit. Becoz the employer dont know to call foreigner in irelad. And how much to receive a work permit if i ihave ireland job offer from limited company. Hi Arun, if you have a job offer from a company, then you can apply for a work permit. If you are applying for a general work permit, then depending on the industry, your employer may be required to do a labour market needs test. The cost of the permit is €1000 for 12 months. I am not an expert though, best to check the website (link is in this post) or contact citizen information, they are very helpful. Good luck! We live in South Africa and my daughter wants to au pair in Ireland. We don’t need a visa at all for Ireland. She found a lovely Irish family who would like her to start soon. Our biggest challenge is that we cannot find any information at all. We have read the Irish embassy website through, emailed and phoned, then emailed to INIS, then we were referred to the Business and Innovation department in Dublin but didn’t get a reply at all. We would like to know whether it is a permit or visa that is required and how to go about it. The websites are very vague and only clear if you come from certain countries. Do you perhaps have more information for us? Hi Annelise, I au-paired in USA when I was 19, it was such a great experience! I am not sure what the work permit/visa requirements are for au-pairs in Ireland, but I suspect that because your daughter is non-eu passport holder that she will need a work permit to stay in the country longer than 90 days. I would suggest looking at going through an au-pair agency, that way they can advise you on the paperwork you will need. When I went to USA, it was a j1 student visa; similar to a working holiday visa, which is only valid for 12 months – perhaps they offer something similar here in Ireland? Hope that helps! Hi! thank you for sharing your story online! It really got me something I could not find somewhere else. I am currently seeking a job and I was wondering if there’s any tip to explain things about the work permit to the employer. And you mentioned it took 6-8weeks to get the work permit. Is it an average range of time? Should I inform the employer that it might take 6-8weeks ? Hey Sina, thanks so much – happy to hear this post was helpful to you. unfortunately 6-8 weeks is the average time it takes for the work permit to be processed. I have had friends who took only 2 weeks, and mine took over 9 weeks! The best bet is to get the application in as quickly as you can and then check the processing dates on the website. I would inform your employer of the time frame, hopefully most companies are used to waiting a few months for employees who are resigning from other jobs and working through their notice period. Good luck, it is a slow process but it can be done! Hi Meg, please I am on stamp 3 dependant Visa( I am 26yrs old) on my mum who is a citizen. But I want to apply for work permit under my mum’s company( she sells cosmetics and weaves). Pls what kind of work permit can I apply for and also can I use that same work permit if granted, to apply for work in another company? Thanks. Hey Vivian, is your mum a irish citizen or a EU citizen? If so, I am confused why you would be on stamp 3 as if you are a dependent to an irish or EU citizen because you shouldn’t need a work permit. If your mum is a non-eu citizen then you will need a work permit. A work permit is non-transferable, meaning that once you have a work permit with one employer, if you change employers, you will need to reapply for a new one. You also can only apply for one work permit every 12 months. After you have been working here for a while then you will move to stamp 4 and that means you won’t need a work permit. Sorry it is a little complicated, I would suggest calling citizen information and discussing your situation with them. Hey Madi, your husband’s situation is exactly what I went through. Unfortunately he needs a job offer before he can apply for spousal work permit. Once he has a job offer, he can submit the application himself. There will be info that the company will need to submit with the application. It’s a slow process finding a company willing to wait for the work permit but since there are no fees or labour needs test to the spousal permit it does make it easier to get. My best advice is for him to apply to jobs stating he is eligible to work in Ireland and wait to disclose the work permit situation later in interview rounds. The process takes 6-8weeks, so a company who wants to employ a person who has to work out a notice period should be willing to wait. I think larger companies, or companies that have a global presence because they more likely have dealt with foreign nationals before. Hi Madi, I’m not quite sure why it was declined – did they not give a reason? I think they usually send a letter as to why it was declined and suggestions for reapplication. Just off the top of my head, is your friend on a critical skills work permit? Because then there should be no problem in getting it. There is documentation required, was all of it submitted? Like employers P30; etc? So glad I found your website. It’s been very informative & helpful! My husband and I moved to Ireland only 6 months ago. He has a stamp 1 and I have a stamp 3. Unfortunately, his company let him go (they are supposedly known for this high level of turnover). We love it here and would like to possibly settle down here, but not sure of the next step besides looking for another job. Would he have to apply for a new work permit? Hey Erica, I am sorry to hear about your husband being let go. It is difficult to know what to suggest – what kind of work permit is he on? Was he made redundant or let go? There are a few things you can do to stay in Ireland, he will need to notify Dept of Business and GNIB – he can request permission to stay the country for a limited time to seek alternative employment. Your husband will need to find another employer/job and then will need to apply for a new work permit. Because he was let go before 12 months, there are some other steps he may need to follow – I would suggest consulting with an immigration consultant in this case. It sounds overwhelming but it can be done! Thank you for getting back to me with your insight. Yea, it’s unfortunate and frustrating. All of our friends we’ve made from the same company have been fired or quit as well. He wasn’t made redundant, but he did try to request that paperwork from them & was denied. He’s on a general work visa that expires in about 6 months time. I’m wondering how long they would grant us to stay and look for a new job? Thank you for your positive vibes! We have enjoyed our move to a ireland so much! Hey Erica, I am not exactly sure on the steps but I think you would need to apply for permission to stay through the Department of Justice. Then depending on that, the duration will be given. I can’t find any info on this so I would suggest going to Irish Naturalisation and Immigration Services and see if you can chat to someone. Hi i moved here along with my Kid to join my wife, she was on critical skills work permit. I am on stamp3 and when i apply for any job i get a standard answer we dont have any position open for you. I had applied almost 100 employers. I am a mechanical design engineer who worked in India for various Multinational companies in Marine and offshore companies. Even though there is no ship building or Marine industries here, i tried to apply to various design consultancies on my core capablities on a lower post. I gave only two interview one company from Arklow they were ready to sponsor me but the Employer got stuck because of Work permit obligation, its 8 months i am without work. I tried to get into BTEI courses to be Health Care Assitant. Again Stamp 3, being on Stamp3 is like a Alien in this country. I cant upgrade my skills, cant wort…hopefully something postive will come soon..
Hey Sajan, it is tough finding an employer who will wait for you to get a work permit – I had a similar journey to get mine. But it is possible, I hope that you find something soon! Hello Meg and thank you sincerely for creating such an informative, useful and well written blog! I’m a U.S. citizen hoping to relocate to Southern Ireland while traveling in the U.K. Because I’m not back in the states to apply, how realistic would it be for me to arrive as a tourist than seek employment? I imagine I can help things move quicker if I’m there to receive any of the required documents straight from a prospective employer and submit them immediately on my expense? My real issue is that my son and partner, U.K nationals, are in the U.K. which I’m finding almost impossible to join due to their, imo, absurd rules on family visa as well as obtaining a work visa. 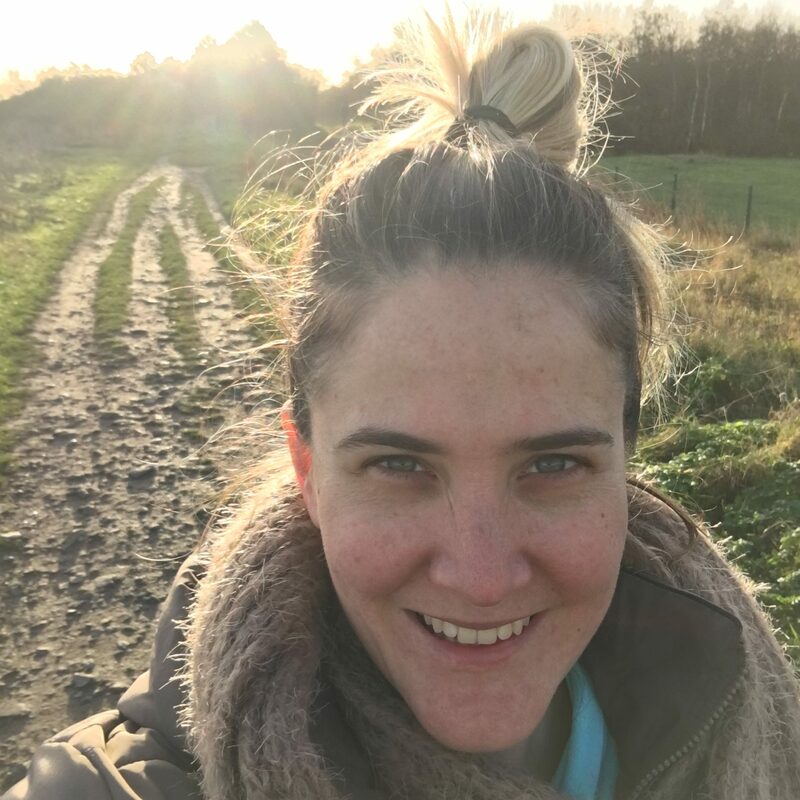 (We don’t want to raise our son in the states) My only hope right now of being close is to reside in Southern Ireland and visiting as much as possible… my son is 1 now and the thought of not being in his life is destroying me on a daily basis. Either way, I am hopeful as I won’t give up my son and wanted to thank you for this blog as it has given me a new found glimmer of hope, so thank you again. Hey Robert, thanks so much for taking the time to read the blog and write a comment – really appreciate it! OK so a few things you might want to consider – the big one being that your wife can enter Ireland and work here without a work permit. Because she has a UK passport, you might be entitled to an EU fam type visa? Best to check me on this, as I am not exactly sure. But my understanding is that UK and EU citizens can work here freely, and it means their spouses are entitled to live and work here too – without a work permit. I would explore this more if I were you. The second is that upon entering Ireland as a tourist, you will be required to register with immigration before you can legally apply for a work permit (this is assuming you require one). I hope that helps, and wish you all the best! Thank you for this post. It definitely demystifies the process and has made me hopeful again. Just like you, my Husband has a CSEP and I have a Stamp 3. I am hoping for the best. Good luck in the job search, it is a tough process but I am sure you will find something soon! Hi! Do you have any advice for those who apply for a job, get a call back, but are told the employer wants you to have a work permit first? Because, according to Ireland Immigration, you cannot apply for a work permit until you have a job offer. Seems the Employer my husband interviewed with had it backwards, but we were in no position to correct them, and I wondered if it was a polite way of saying, “thanks, but we don’t want the hassle of filing for a permit” ? You are correct, you need a job offer to be able to apply for the work permit. which I find frustrating, but that is the way it works here. It also depends what work permit you are applying for – sometimes there are fees involved, and a labour needs test needs to be done. I think for a lot of smaller companies this process is too slow, but there are companies out there who are willing to go through the process for the right candidate. I hope you guys find something great soon. Hi…Thanks for the useful information !! My husband will be traveling to Ireland with Critical Skills Work Permit. And I will join him there as a dependent. I am bit confused about the spousal work permit 🙁 do I need a job offer before applying for it ? Hi Amrita, yes you will need a job offer to be able to apply for the spousal dependent work permit. The process takes 6-8weeks from the time the application is submitted online to get a response. Hey Jai, the information is all within the online form. You need to fill it in and add supporting documentation. At the end of the form I filled in, it required two signatures, mine and my employer, so I printed out that page and scanned it through too. Hi Meg, thanks for the reply. My husband is in the same situation. I am a critical skills holder and he is a Stamp 3. It frustrates him that all recruiters are avoiding him. We’ll try what you did about not telling he is a Stamp3 and spill out all the details once face to face with the employers. Why does Ireland have to make it so hard of our spouses?!?! Hi Sandy, no your holiday visa is separate/ different to a work permit. The two are not linked. You can only apply for a work permit with a job offer from an employer and that work permit is then linked to that employer. Hi Mohsin, you first need to get a job offer before you can apply for a work permit here. 1) my work permit is from 4th June 2018 to 3 June 2020 and I will start my work in Ireland maybe some days later (approx. last week of June), do I/Employer need to change anything? 2) regarding the dependent/spouse permit, currently I got the critical skills work permit starting from 4th June and am applying for entry clearance visa, so would that be possible to me and my wife can apply entry clearance visa at same time? Hey Ganesh, so as far as I am aware, you can’t change your dates on you workpermit. I am not sure on entry visa clearance at all, so can’t help you there. Thanks Meg, things are being sorted. This Irish spousal/dependent work permit law is not helpful to married professionals moving to Ireland. There is need to draw the line between protecting local jobs and losing valuable experience spouses of work permit holders can bring to the economy. Clearly, the law will be more effective and helpful if people can apply for dependent/spousal work permits without a job offer. How can we all that are affected by this problem form an advocacy group to raise awareness on this issue. I sincerely believe that government may not understand yet the impact of this problem or how unhelpful this law is. I agree. And Im interested in joining such an advocacy group. Cheers! Hi Meg, it is lovely to find your blog that shares your experience in this matter. When you mentioned that it is easier for students, how is it so with regards to applying for jobs? Upon graduation, students have a small window of 1 to 2 years in stamp 1G to legally work in Ireland. But how does employers view students with this particular background? Do they view them as people that require sponsorship/visa as mentioned above? But to be exact they would need it after the Stamp 1G expires and only then sponsorship/visa issues starts to kick in. Hey Wells, as I mentioned in my post, I have no experience nor knowledge of people moving to Ireland as students. The work permits mentioned above are separate to the student permit. This is so helpful Meg! Thank you for your post. I’ve just submitted my application for Critical Skills Employment Permit, and I hope it will work out smoothly. I’m wondering who paid the 1,000 euros fee, is it you or your employer? My employer is asking 50-50 shared payment; however in the declaration form it stated that the employer does not have the right to deduct or claim the fee from the employee. So I’m thinking of asking them about it. I got a relocation package though as I’m coming from Singapore, so that might be the reason for the 50-50 shared payment. Hear you shortly. I recently got the critical skills work permit and my employer paid fees of 1000 euros. I paid for my employment visa though i.e. only 53 pound. Do you mean immigration visa? My understanding is that employment and work permits are the same? Some employees need both employment permit and employment visa, while others only need the former. It depends on the country you came from. Hi Ann, my husband’s employer paid for the work permit, and gave him a relocation package. I think it depends on what you agree on. I have heard other people offering to pay for the work permit themselves to get the job. My understanding is that if your employer does offer to pay it, then they can’t claim that money back from you at a later stage. Hello, just to update you. My employer has agreed to pay 100% already. I was wondering how your husband found a job before he got to Ireland? My husband & I should both be eligible for Critical Skills permit but it would be great if one of us could get an offer of employment be for we get to Ireland. Thank you so much for writing this! I am in the process of filling out/applying for my Irish work permit and its turned out to be a lot more stressful than I thought (and I knew going into it it wasn’t going to be a walk in the park). I’m about to submit all my paperwork, and am dreading the waiting game to see if I get approved or not. Your blog has definitely helped and has reassured me that I am not alone in this. So again, thank you! Thanks Catie. All the best on your application process!! 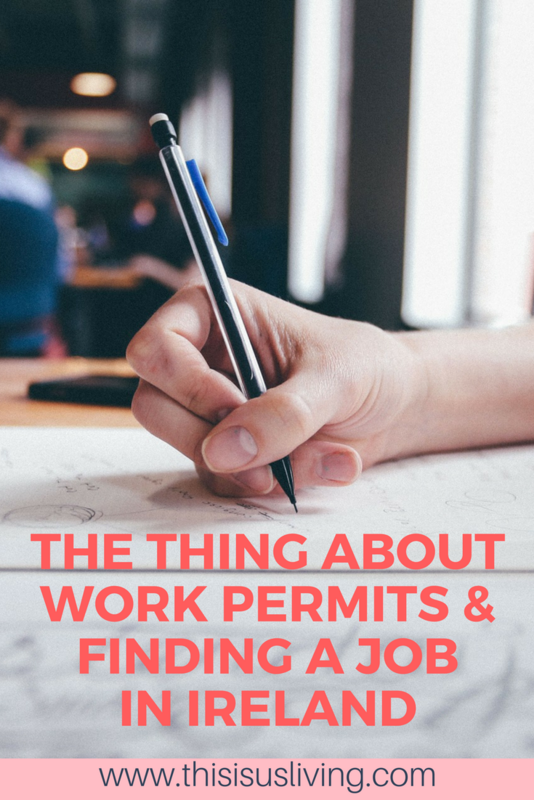 Were you able to start working as soon as you got your work permit, or did you have to wait till you had both your work permit and your updated visa? Hey Catie, do you mean updating your GNIB from stamp 3 to 1? I got the work permit and then started working the next week. I could only get an appointment to update my GNIB a couple of weeks later but it was ok to start work for me. Thank you for this through article. I have a question. On what visa will a spouse join her husband who just received a critical skills employment permit? Hi French, I am not sure about visas to enter the country but I think it will be a spousal dependent or join family visa. Hi Steve, as far as I am aware, your spouse will be on stamp 3 until he gets a job. Once he gets a job, he will move to stamp 1. After 3 years, he can move to stamp 4 like you. Hi, it’s a great blog. Thank you Meg for sharing your knowledge and experience. Can you help me understand the Current Processing Dates for standard application please? I’m confused with the dates. Let’s say the current processing dates show Application received for Standard is 14 March 2018. Reviews Received is dated 15 May 2018. Does it mean that as of 15 May, they are reviewing the applications received on 14 March? And if the date today is 23 May, does it mean the result has been out & the applicants from 14 March have already received the hardcopies of their permit? Thanks so much Meg. Now I know how to read it. Do you happen to know any reasons why would a Critical Skills Permit be refused? Is the percentage for refusal high? So far, I haven’t seen online. Great essence who are looking for workpermit in Ireland. Kudos to Meg . Myself and my husband working as IT professional in India. Like many I also one who are interested to move to Ireland with a work permit with my family . Couple of things running in my mind . How difficult /chance is to get a Job offer from home country or would Ireland employer willing to release a Job offer . Any suggestion or advise on this how should I start taking my first foot /? my first suggestion is to look online for job opportunities here and apply. Best option is to find a job and get the work permit process started before you move over here, but others have taken the risk to move here first and look for a job. It mostly depends on what skill sets you have and how urgent employer need the resources. Even though am IT professional, I hardly got calls from Ireland. Very thankful that I have stumbled into your blog regarding this topic. Finding a job here in Ireland has proven to be quite a challenge for me as well. I am also a spouse of a Critical Skills Permit holder and also trying my luck in finding a job as well, but always thru phone interviews, once they hear that I am on Stamp 3 and needs a work permit, they lose interest. Do you have any idea if there is a possibility that once my husband becomes a Stamp 4, my stamp will also be changed to Stamp 4 as well? Thanks so much in advance and thank you for posting this! Hi Meg, thanks for useful blog.. I am from India and currently seeking a job in Ireland and I was wondering if there’s any tip to explain things about the consultancy services which helps in searching job related to my past 7 years experience. if yes, please mention those consultancy services. Hi Jitender, In my opinion if your work skills are not critical skills and you require a work permit – your best chance is to apply at a company directly. Recruiters will not often process applications that require a work permit. As incredibly unfair as that sounds, it is the truth. There is also a heavy delay in processing work permit applications which you can only apply for once you have a job offer – which means an employer would need to wait for you to start the job – all these factors are working against us unfortunately. Having said that, try LinkedIn and try apply at bigger companies who may be used to the work permit process. Good luck! It is currently taking 13 weeks for a critical skills permit application to be processed. I submitted my application on 9 May 2018 and hope to get it 9 Aug.
Hi Caroline, That is the waiting time for any work permit – unless you are going with a trusted partner then the application will take quicker to process. I would say it is likely you will hear an answer around mid August… and that is only if there are no further delays. Hi Bianca, you can check online to see if it has been processed but it usually takes 10 working days to arrive in the post. Hi Meg , how wonderful to have come across your blog . Very informative and useful just what I have been looking for . I was wondering if you can help advice if I will be able to apply for a spousal work permit before moving physically to Ireland from my home country ? My husband is moving on a critical skills permit in few months and my current employer is exploring on transferring me to our Ireland branch . Hi Beni, you can apply before you move over, get the application in as soon as possible because there are heavy delays in processing. My understanding is that she won’t be able to earn a salary or sell her paintings until she has a work permit. Employer applied for Critical Skills work permit on April, 6th. Currently they are processing applications of April 12th. Both of us didn’t hear back from them until now. Do you know how long does it take to feedback us with the results. Do you know how to get application ID and URL for the status check? Also does reference number differ from application ID? Hi Meg.. Thanks for such an informative blog. I am aspiring to move to Ireland and I have few questions which I am sure you can help with. 1. The critical skills visa is valid for 2 years. What if I loose my job or the employer is not interested to continue due to any reason. Can I look for a new employer ? Can I use the same visa to search new Employer or do I need to start the process of visa application from start which will be linked with the new Employer ? 2. If I am not happy with the employer, how early can I start my job hunt with the same critical skills visa ? 3. Can I initiate this visa application process on my own, or do I need t seek help from any immigration consultancy ? How hard it is ? I hope you can help me out here..
Hey Anil, I will try answer your questions as best as I can. All my advice is based off my own experience, so if you are ever in any doubt – please check with a professional too. 1. If you lose your job before 12 months due to reasons outside of your control (you are made redundant for example), then you will need to apply for permission to stay in the country to seek other employment with the department of justice first, then once that is granted you will need to apply for a new work permit with your new employer. You need a new work permit for every job you apply for – as your work permit is tied to a specific employer. 2. If you choose to leave your job after 12 months, then you must apply for a new work permit with the new employer, however you will need permission to stay in the country if your residency permit expires over this time. 3. You can apply for any type of employment permit online – either yourself or your new employer can submit it with or without the help of an immigration consultant. To be honest, I applied for mine online with no problems, when my husband changed jobs on a critical skills permit he used an immigration consultant. It depends entirely on your circumstances and how well you understand what documents and steps are needed to apply. Hi Meg, thanks for this blog. I enjoyed reading your articles, i learnt a lot. Now im back at square one, lol. Thanks for this blog, keep it coming! Hi Meg, I am still not able to get any job offer from Ireland, applied to many companies directly, consulted almost all recruitment agencies, its been a year, and because I need visa sponsorship I have no response from anyone. what do you suggest I should do ? I am into IT sector!! Hi Robin, there are huge delays in processing of work permits. It currently takes over 3 months to process, so it will be hard to find an employer able to wait that long to fill a position. I would suggest you keep trying, just know it is a difficult time to be looking. Hi, can you comment on what you had to bring to your GNIB appointment in order to convert your stamp 3 to a stamp 1? I can’t find a clear list online and thought you might remember what you brought. Hi Bronwen, you would need your marriage certificate, work permit, passport, and €300 (they don’t accept cash). Hi Chantelle, you will receive a response via the post, usually 10 working days once it reaches your date. Does anyone know why it is so difficult to get the job on critical skills dependent visa? Being an IT professional but not getting job due to visa issue is annoying. Company straight away drops an application if they get to know about it. According to website, dependent can work after applying dependent work permit either by employer or self but still no luck. Hi Meg, thank you so much for your blog it was very informative. My company submitted my critical skills permit for Ireland on the DJEI website on 1 August and have had no feedback as yet. I have checked the current processing times today and they are processing applications submitted on 8 August. My question is how long does it take from the date of processing to hear back on a decision? Do they also email you when they have processed your application? Hi Rue, is your company a trusted partner? Regardless, either way you will receive your work permit in the post. There are heavy delays so I would wait a little while longer. It usually takes 2 weeks to arrive in the post. Yes they are a Trusted Partner. Its just a matter of whether DJEI notifies them if it has been processed or they just wait for the post to arrive? I am just a bit concerned because it has been 7 weeks and now that the processing date has finally arrived and passed there still has not been any feedback and I would just like to know the outcome. HI Rue , I am in a similar position as you were , only I am in South Africa. Did they eventually send you an email notifying you of the decision, or you had to agonisingly wait for the post with no idea of whether the work permit was issued or not. I am 35 years old chef and I am from India. My employer applied for my work permit last month and I still haven’t received any response from home department. The category of my employer is *Genral”. I was just wondering if you have any information regarding how long general work permit applications are taking now a days. My work permit status is ‘being processed’ from November 2 onwards (applied on July first week) Do you have any idea about when will I receive it in post? Hi Nash, you should get something in the post this week still. Some cases have waited nearly two weeks after a the date to get it in the post. Hang in there, nearly over! Hi Meg, do you know if DJEI sends an email to the Trusted partner with the decision or they too have to wait for the post. Hey Collen, a letter will go to yourself and your employer once application is processed. This is a great article, i want to know is it mandatory to get done with GNIB before applying for permit, or i can do both of them simultaneously, i just dont want to delay earning because of GNIB. Hi Saurabh, if you are in Ireland you need a GNIB card, once you have a work permit then you will need to update GNIB to reflect. I am looking now into possibilities of moving to Ireland.I checked and my work is on the critical skills list and I want to approach companies about potential opportunities. 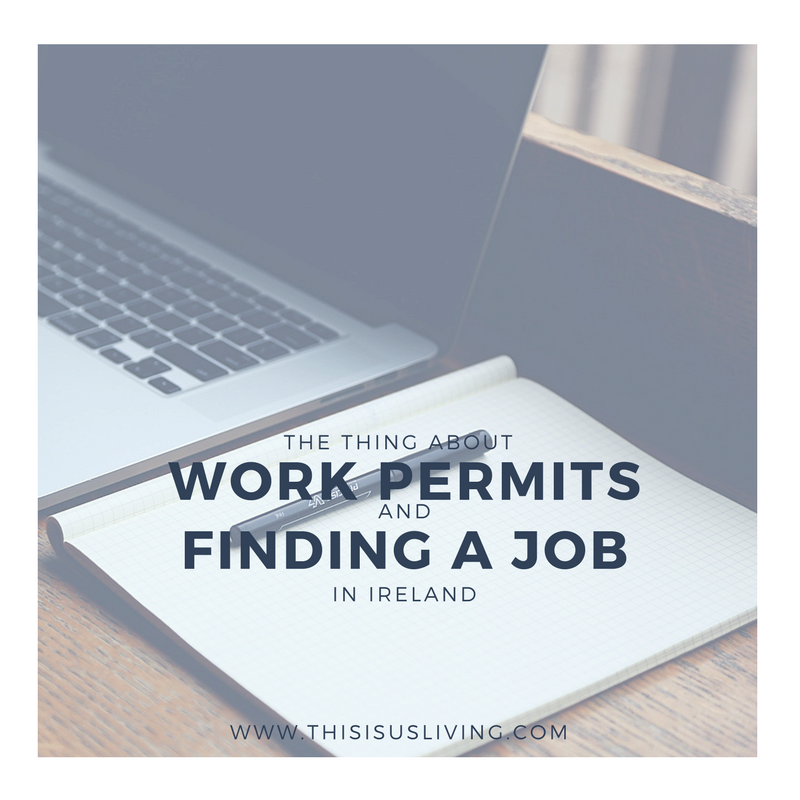 Is this something that I can start from South Africa before going to Ireland and how do I best work the difficult point on the work permit with an employer? Hi Rikus, I absolutely recommend finding a job before you come over. Given that your skills are on the critical skills list, it means they are in demand here so I think companies will be aware that you qualify for this type of work permit. You will need a job offer before you can apply for the work permit, so best to get the process started asap. Good Luck! Super helpful blog. I have applied for spousal work permit (SWP) a few weeks back. Wanted to know what happens to SWP once the primary holder moves to stamp 4? In my case, my husband’s Critical skills employment permit will expire mid next year and he will move to stamp 4. My concerns is that the Gov website states that only the dependents of critical skill employment permit holder could seek employment under SWP. Would I be able to renew my SWP when my husband moves to stamp 4? Hey Nidhi, it is my understanding that you should still be entitled to a SWP, after 3 renewal years you will also move to stamp 4 like your husband. So much useful information from you. I first got intouch last month. My wife has a SA passport and therefore I believe we can come to Ireland for 90 days. How do we legally stay on after the 90 days? Is it true that the 90 day-stay can be extended while trying to get a residence permit? As non EU citizens, do we even stand a chance of being granted residence in Ireland without first getting a job offer? I’m a journalist/lecturer with a Master’s degree…I doubt that is on the critical work kist. Hey Emmanuel, it is illegal to enter Ireland under a holiday 90 day stay and look for employment, so first off, don’t do that. You should rather look for employment before coming over. Your post is extremely helpful. However I have some questions running on in my mind. My husband is on General work permit in Dublin Ireland, I wonder will I be able to work in there? Can you please suggest me with some helpful ways, on what should be my next step to get a job in Dublin. If needed which visa should I apply for? I am very confused as everyone is talking about Critical skills visa or dependent of same. But I am dependent of general work permit visa. What should I do to get a job in Dublin. Hi Reet, the laws on dependents of general work permits has recently changed – you would need to wait 12 months before you could join your husband over here. I am not sure what passport you are on, so not sure on what to advise on visa situation. Because you are a dependent of a general work permit holder you will not be entitled to a spousal dependent work permit. You would need to apply for a general or critical skills work permit for yourself. It is possible, however many companies here do not understand that dependent spouses can apply for work permits so the process is long and frustrating. Thanks for all the info! I was wondering if you could answer a queston for me. my boyfriend and I want to move to ireland with my family. Fortunately i was accepted to study there and i’m depedant on my mother who has her british passport. Unfortunately my boyfriend has no irish or british ties and the only way I know of allowing him to he move is if he gets a job and a work permit but we are not sure if he is eligible for a general work permit. He is a car salesman for Audi and VW and has his international Audi certificate. I was wondering if you could help us with regards to if he is eligible or not or if there is another way for him to move. Hi Takara, If your boyfriend does not have an EU/UK passport then he will need a work permit. I think it will need to be a general work permit, but check the critical skills list. He would need a job offer before he could apply for a work permit and it takes over 3 months to process work permit applications. Just a note that it would be illegal for him to come over without a work permit – so he would need this before he joined you. Hi Meg, Do you have any idea how long the spousal/dependent work permit will be send to me and my employer if my application has been processed? My job position is currently in danger since the processing is taking too long than expected and my employer has already contacted me that they have opened the position again for others. I am a South African living in Ireland. I moved to Ireland about 3 weeks ago. I am here on a critical skills visa. My plan is to stay here for 5 years in order to apply for citizenship. I would like to know if you know anything regarding travel restrictions? I was put under the impression that I am not allowed to leave Ireland for 12 months after the approval of my work permit. Is this true? I have checked the inis.ie website and many others but I am not able to find a clear explanation. Hey Priya, you can check current processing dates online, do you know the date your application was submitted? They are currently reviewing 21 Feb applications. They update this date every Monday, Wednesday and Friday. It usually takes 6-8 weeks but there are delays currently you could wait up for 10 weeks for an answer. Hope you hear something soon. The wait is what killed me! Ah that’s great, no news is good news usually. They will review and if there is outstanding info you will get an email. If it was successful it will be sent in the post, should arrive next week depending where you live, mine was the very next day. You can call them and give your reference number, they will tell you on the phone if it has been issued. Wishing you all the best! Hi Meg, I am just wondering, should there be someone at home who needs to receive the mail? It’s just that I may be away for holiday and might miss the post. Thank you! It is usually a few days, postal service here works well! Just wanted to find out how long the post took for you in the end? We submitted my critical skills permit for Ireland on the DJEI website on 1 August and have had no feedback as yet. I have checked the current processing times today and they are processing applications submitted on 8 August. How long does it take from the date of processing to hear back on a decision and do they email you when it has been processed? Hope by now you have received your work permit already – how long did it take for you to get after the website showed the date when it had been submitted? My application was submitted on 17th of September via Trusted Partner scheme, and now they are already processing 24th of September, and 17th of September was apparently processed last Friday. My employer still doesn’t have any update about it, but I am hoping to receive the permit shortly. Hey Frank, they are reviewing 5 March right now, so I’d say in 2-3 weeks you should find out. Good luck! Hey Franz, the work permit gets put through your post box, it is not registered mail so you won’t need to sign for it. Also, a copy is sent to your employer too.